I probably wouldn't buy the book, but I do enjoy watching her show. She does have a very relaxed style that is very appealing! I agree, there is much to admire about Ree. And I also agree that I don't really eat the way she does, but her photos and stories are worth getting to know. Can you believe I've never seen her show? 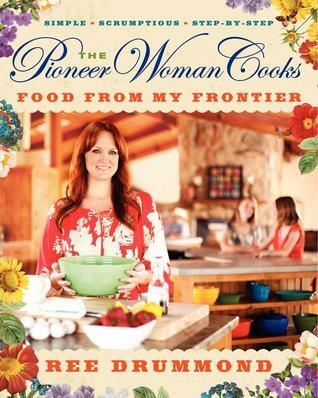 Not sure if I'd purchase the cookbook, but will check my TV listings this week. This sounds like a fun book to look through! I've never seen her show either, but I have seen her on morning shows and she is very personable. Ree's recipes are the sort of thing I make when my brother is visiting (or I'm visiting him!) - hearty, man-friendly and basic. I've tried a couple of calorie-heavy holiday recipes at parties to great acclaim, but in general I too enjoy the photos more than the food itself. I'd definitely page through this - I may have to get it from the library! I have checked this on out of the library. It's a fun book and the photos are good. I like the stories too but some of the recipes are a little to fatty for me.